Hey there! It took me a minute to figure out exactly what day it was! I think I am suffering from a "holiday hangover." The kind of feeling where the excitement of Christmas is gone, you ate way too much, you're feeling pretty exhausted, and the house is a mess. It's always kind of a sad feeling when Christmas is over. The anticipation seems to last so long but it goes by way too quickly once it's here. My agenda includes cleaning out some toys and getting my house back in order! 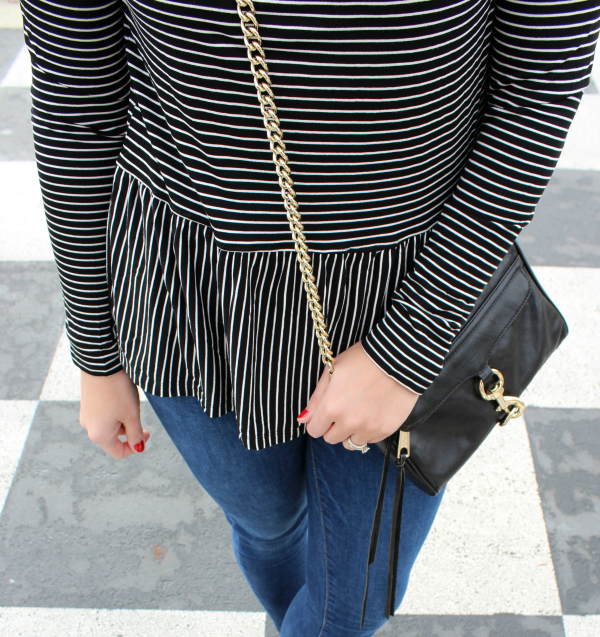 Today, I am sharing how I styled this pretty striped peplum top! I wore this outfit to run some last minute errands on Christmas Eve and to bake cookies for Santa with my girls. Yes, I actually wore the heels for most of the baking (they were kind of perfect with my polka dot apron)! 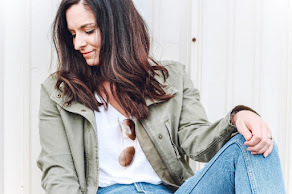 This top comes in a several colors and it runs true to size. As I have mentioned before, I cannot pass up black and white stripes or peplum! It's my favorite combination! 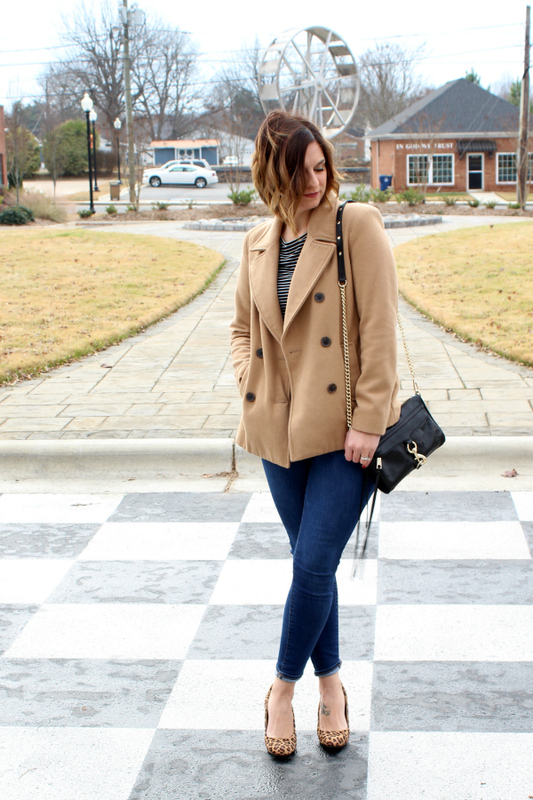 I styled this peplum top with skinny jeans, a classic pea coat, leopard heels, and my black leather crossbody. This top would also be perfect layered with a cardigan or vest on top as well. I also plan to pair it with black denim and a colorful bag next time. I hope you all have a wonderful day recovering from the holidays! At least we do have New Years to look forward to this weekend!